The gut microbiota is now recognized as a “virtual organ” with effects that extend well beyond the GI tract to help shape the immune system and the developing brain. Microbial dysbiosis can predispose neonates toward a number of serious disorders, including necrotizing enterocolitis, late-onset sepsis, inflammatory bowel disease, obesity, malnutrition, asthma, and atopy. Prebiotics and probiotics have drawn increasing attention in recent years as one potential intervention for correcting microbial dysbiosis and improving neonatal and infant health. In this educational podcast, Dr. Roger Soll discusses the pivotal role of the microbiome and gut microbiota in neonatal health and development, as well as the factors that influence early microbiota development. Data from recent studies on the use of probiotics and prebiotics in the NICU for correcting microbial dysbiosis are presented, as are the potential implications of these data for routine clinical practice. NICU healthcare providers including neonatologists, pediatricians, NICU nurses, NPs and PAs, registered dietitians, and other healthcare providers who care for pre-term infants. Dr. Soll is the Director of the Vermont Oxford Network. Susan Basilico and Krista Sierra of Haymarket Medical Education, the staff of AKH and Dorothy Caputo, MA, BSN, RN, Lead Nurse Planner of AKH Inc., Advancing Knowledge in Healthcare have no relevant financial relationships to disclose. This enduring activity is awarded 0.25 contact hours for nurses. Registered dietitians (RDs) and dietetic technicians, registered (DTRs) will receive 0.25 continuing professional education unit (CPEU) for completion of this program/material. 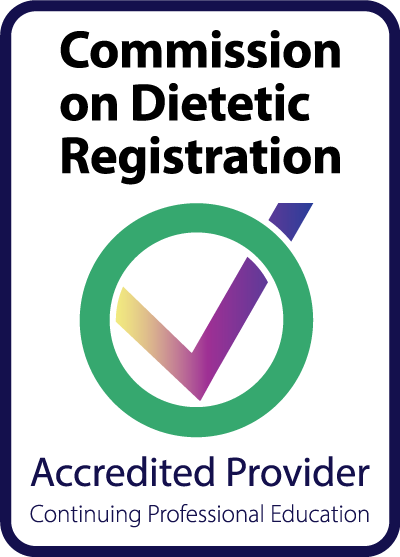 CDR Accredited Provider #AN008. AAPA accepts certificates of participation for educational activities certified for AMA PRA Category 1 CreditTM from organizations accredited by ACCME or a recognized state medical society. PAs may receive a maximum of 0.25 Category 1 Credit for completing this activity.